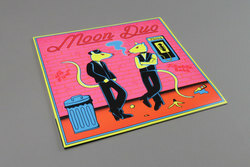 Moon Duo - Jukebox Babe / No Fun. Vinyl 12. Bleep. 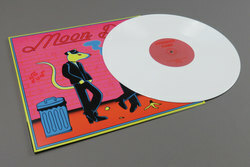 The Sacred Bones/Moon Duo love-in continues with this new single. Both tracks here are covers - the A-Side of the late Alan Vega, the flip a version of Iggy Pop’s ‘No Fun’. The latter came to life when the pair were asked by BBC 6 Music to record a song for the ageing punk/insurance salesman’s 70th birthday. 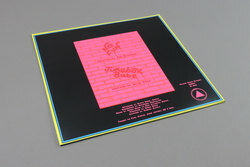 Incubated in their live set, ‘No Fun’ here is stretched into an eight-minute psych-hop lope. Imagine Portishead’s Geoff Barrow being roped in to produce a Grateful Dead LP. ‘Jukebox Babe’ is sparkier, paddling forward on a cheeky motorik groove while the Duo’s Ripley Johnson coos sweet nothings atop it.